We have another wonderful FREE workshop on April 17th and a couple opportunities to volunteer for the tool library. Before scraping, sanding, or remodeling any painted surface in pre-1978 housing, check out this class! 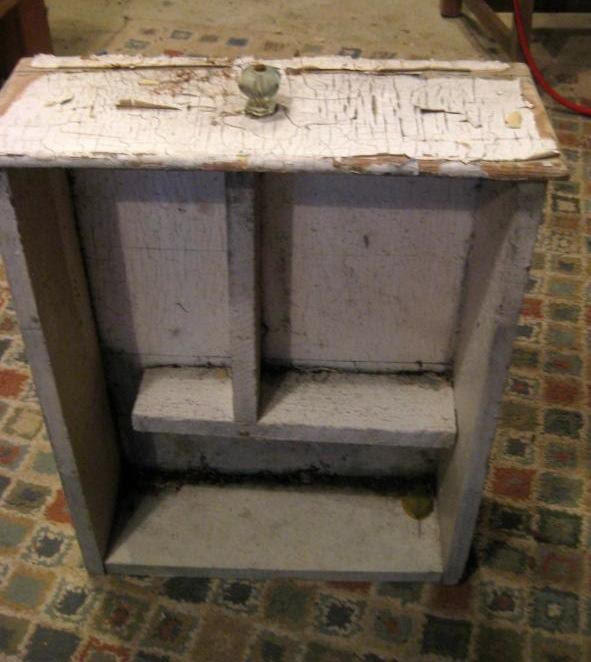 It's great for people who want to do a small project that may involve exposure to lead paint, such as sanding down an old window frame or a reused door with potential lead paint, or a small renovation project in an older home. The class will also discuss the requirements for hiring certified contractors to work on pre-1978 housing. Eligible participants will receive a free kit of testing and working materials, as well as valuable information on protecting your family from lead exposure during home renovations. 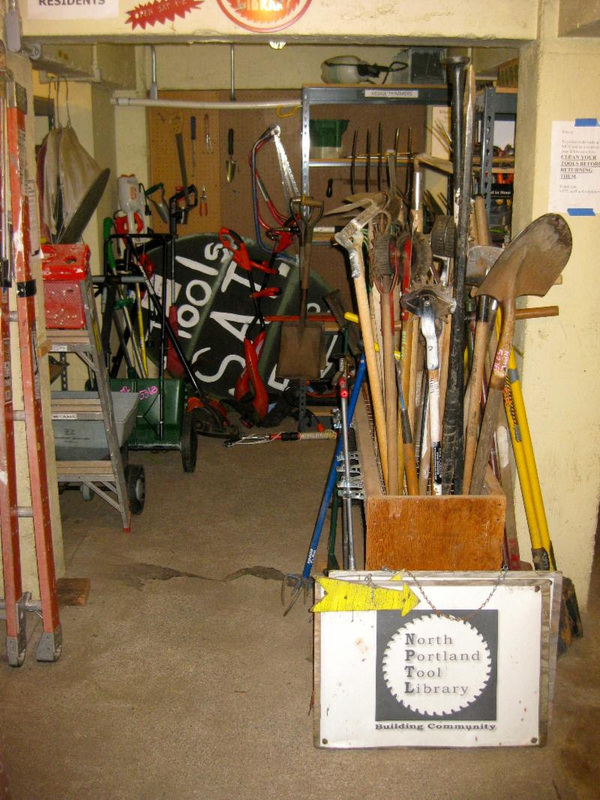 Do you love the tool library? Would you like to share that information with others? We have the opportunity to participate in the Kenton Street Fair on Sunday May 20th, 10am-5pm. We are looking for volunteers to share information about the tool library with fair attendees. Tool Sale Volunteers also needed for Friday & Saturday June 8th & 9th. Friday 3-6pm & Saturday 10-1pm. If you like to unusual tools this is the volunteer position for you!!!! Join Friends of Trees, Portland Parks & Recreation, and Friends of Columbia Children's Arboretum to care for recently planted native trees and shrubs at the Columbia Children's Arboretum. We will be mulching recently planted plants, and removing invasive species. Snacks, hot beverages, gloves, and all necessary tools will be provided! (March 21, 2018) -- The Speed Safety Cameras on NE Marine Drive will start issuing speeding tickets on Thursday, March 22, after 30 days of issuing warnings. The Speed Safety Cameras started issuing warnings on Feb. 20, and the 30-day warning period ends today, March 21, 2018. Those drivers who exceeded the speed limit and were photographed by the cameras during this period received warning letters alerting them to their violation of the speed limit. The cameras are located in two locations on the corridor – westbound near NE 138th Avenue and eastbound near NE 33rd Avenue. The cameras on NE Marine Drive are the final cameras to be installed as part of the Portland Bureau of Transportation’s (PBOT) initial pilot project. Data collected during the warning period shows that the number of drivers speeding on NE Marine Drive has decreased substantially. Before the cameras were installed, an average of 11,113 vehicles per day traveled over the speed limit on NE Marine Drive. After the cameras were installed, an average of 3,366 vehicles drove over the speed limit on NE Marine Drive reflecting a 70 percent decrease from the initial speed studies. The reductions in top-end speeding were even more impressive. 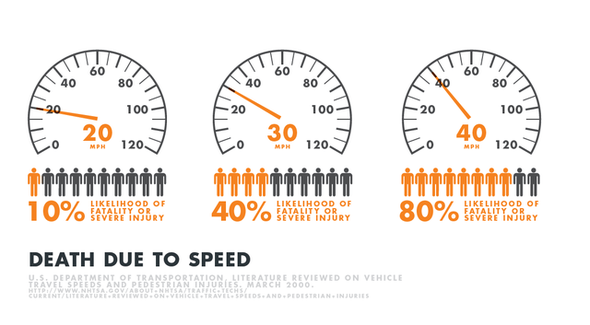 Top-end speeding is defined as driving 10 miles an hour or more above the posted speed limit. The speed safety cameras reduced this type of dangerous behavior by 95 percent. An average of 1,480 vehicles per day exceeded the speed limit by 10 mph or more before the camera installation. After the cameras were installed, only 80 vehicles per day did. The speed safety cameras on NE Marine Drive are the result of the 2015 passage of HB 2621, which allows them to be used on High Crash Corridors in the Portland city limits. The City of Portland has been using other cameras to supplement speed enforcement for years, with police officers in vans enforcing speed limit violations. Portland also uses cameras to increase enforcement compliance with red lights at traffic signals. The NE Marine Drive cameras installation and activation marks the conclusion of the bureau’s initial speed safety camera pilot program which installed cameras on four High Crash Corridors – SW Beaverton-Hillsdale Highway, SE Division Street, SE 122nd Avenue and NE Marine Drive. The first cameras in Portland were installed on SW Beaverton-Hillsdale Highway in the fall of 2016. The bureau will conduct speed studies as well as publish a public survey in the coming months as part of the program’s evaluation. The information gathered will guide future Speed Safety Camera implementation locations. When people exceed the posted speed limit while driving past the safety cameras, the camera systems capture photos and video for review by Portland Police. An officer from the Portland Police Bureau will review violations before a citation is issued. Penalties are the same as a speeding violation initiated by any other means. The typical speeding citation in Oregon is a Class C violation (11 to 20 mph in excess of the speed limit) resulting in a $170 fine. HB 2621 requires that money received from the speeding tickets can only be spent to cover the cost of the program or pay for safety improvements and programs on High Crash Corridors. The Speed Safety Cameras program provides ample warning to people driving in the area. State law requires speed signage and speed reader boards to be installed on the street warning drivers at least 100 yards in advance of the cameras in both directions. Speed reader board displays a driver’s current rate of speed providing immediate feedback in advance of the fixed speed safety camera. PBOT staff also conducted extensive outreach with community stakeholders to raise awareness of the changes along the two corridors, before the cameras were installed. In addition to the new cameras, PBOT is delivering additional safety and maintenance projects on Marine Drive. For example, PBOT will install a traffic signal at NE Marine Drive and 122nd Avenue, and installation of rumble strips is planned as well.